VIRTUAL VILLAGE is a blog about virtualization, cloud computing and the whole Software-Defined Data Center. It is run by: Paweł Piotrowski, Daniel Okrasa and Radek Leicht. Blog digs around various VMware products in areas of Troubleshooting, Automation, Integration and Certification it may be interesting for all virtualization administrators. Paweł @vv_piter is a system engineer working in an IT integrator company. Mostly dealing with VMware deployments. 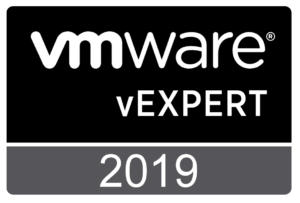 Pawel holds multiple VMware certifications: vExpert 2017, VCIX6-DCV, VCAP6-DTM Deploy,VCP5/6-DCV, VCP5/6-DTM, VCP6-NV, VCP6/7-CMA, Cisco CCNA, Comptia A+, Linux+, Cloud+ and multiple hardware vendor’s certifications. Radek @ralevppl a systems engineer interested in a virtualization architecture and technology. VCP since 2006. VMware Certified Instructor. NetApp Certified Instructor. I teach people how vSphere is working, how it has been designed, what are the features and how to use them to achive what they want. I troubleshoot vSphere related problems as a technical support engineer. All content provided on this blog is for informational purposes only. The owners of this blog makes no representations as to the accuracy or completeness of any information on this site or found by following any link on this site.